How they defy the law of gravity is beyond me! She sent me these this morning. The top one is Rosie - out of a Streakin Six mare by Dash with Perks. Friend is 5'4", Rosie just turned two a couple of weeks ago.... soooo yeah. She's gonna be a big girl! I told T this morning she gonna need a ladder for Rosie, or be half-squirrel to get on her. Rosie wasn't bred by her - she picked her up as a weanling, unhandled, nervous, scared. She ponies along on trails now, seems to be settling down emotionally. Second one is Mocha, out of a different Streakin Six mare, also by Dash. Mocha is a week or two younger than Rosie, so they're both 2 year olds now. Mocha was bred by her, and she's a big lovey girl. Of the two, Mocha is the one I adore, she has the larger eyes, the softer look in her expressions, but both are turning out to be some really nice fillies. They both will be going off to professional trainers soon. Indeed! 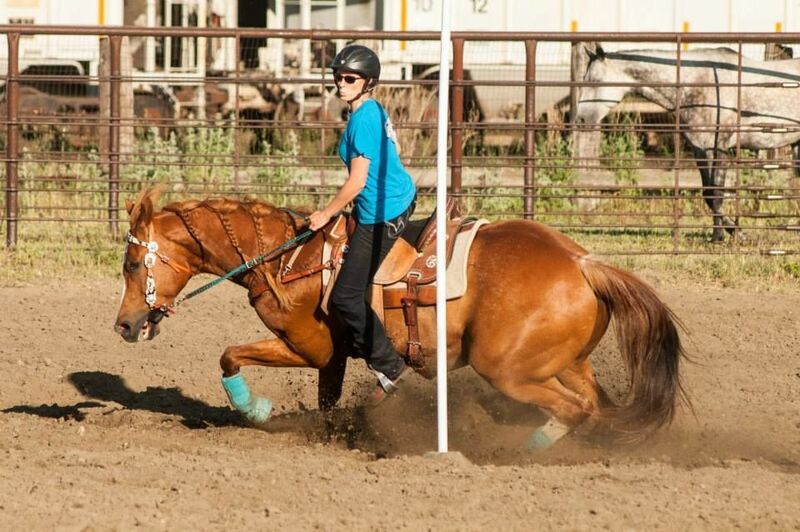 This is one of my favorite pictures of my horse Red, doing the pole bending pattern a few years ago. (Don't mind me getting thrown forward in the saddle and out of position......) He looks like he is about to fall on his face, but he whipped around that end pole on a rollback and started our weaving. He's about 15.2 hands, for reference on how close my foot is to the ground!! @beau159 Truly it cannot be understated what tremendous athletes horses are already, by evolution. You throw in a good rider, good nutrition, proper training, exercise, and conditioning, and the heart and mind to DO IT... the level of athleticism they can demonstrate is breath-taking. Watching the events at the barrel races and rodeos is one thing, seeing it in real time is awesome, but then, when you see these frozen little moments in a photograph, it just drives it home. What you SEE in a matter of 15 seconds vs. that heartbeat in time, captured forever, are two very different things, aren't they?